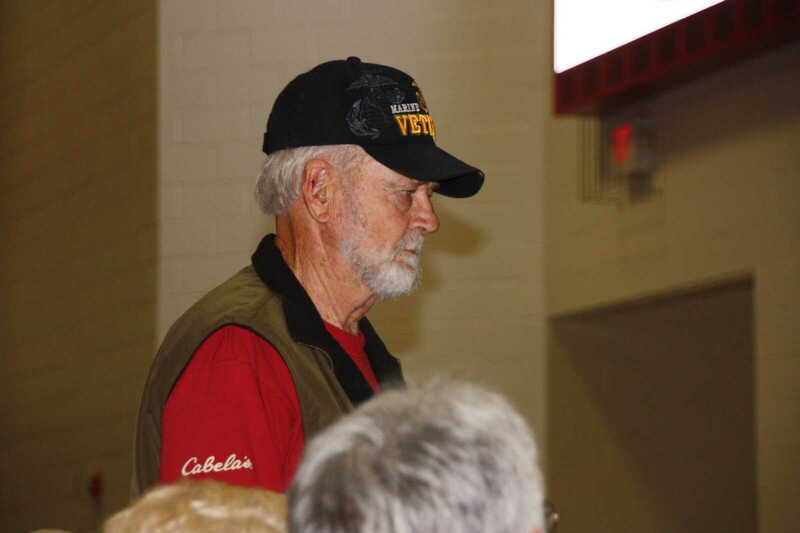 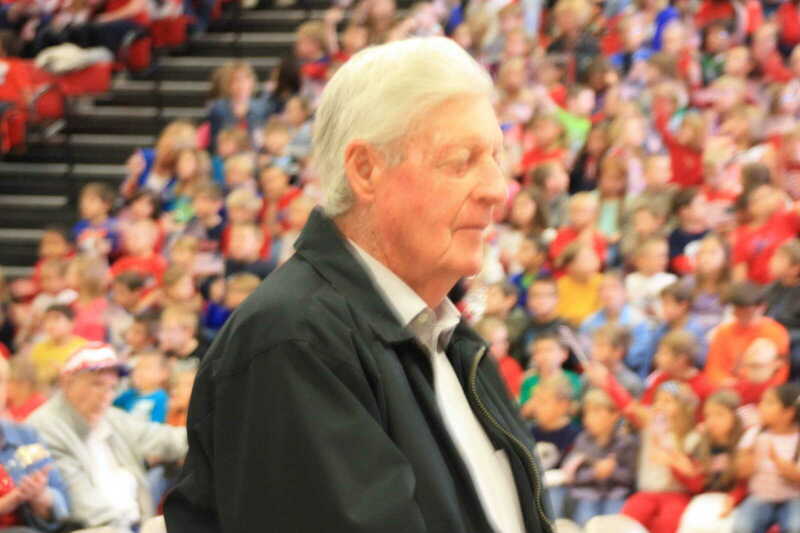 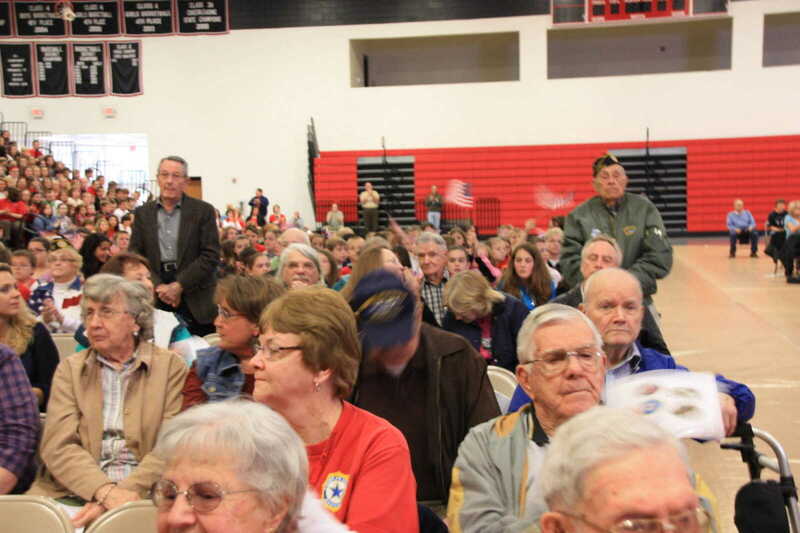 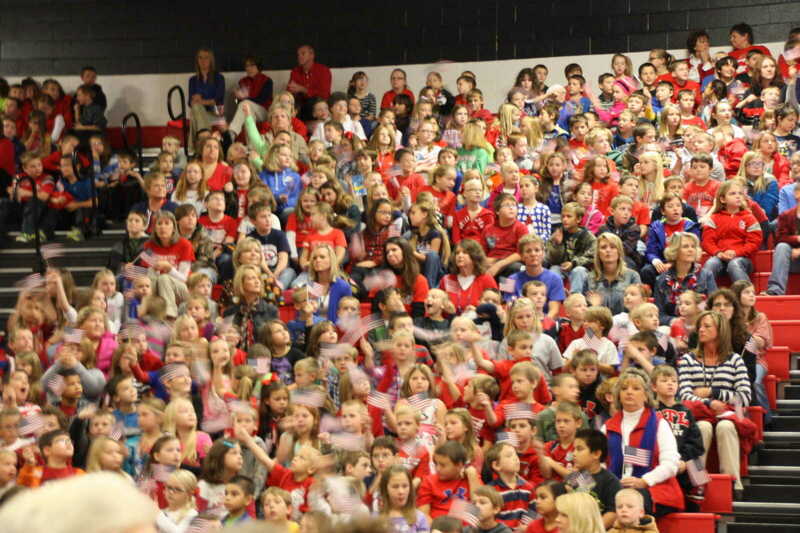 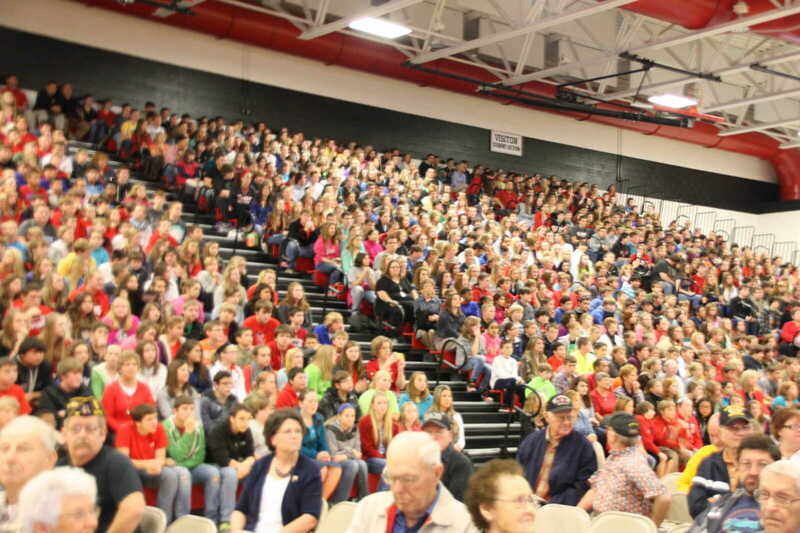 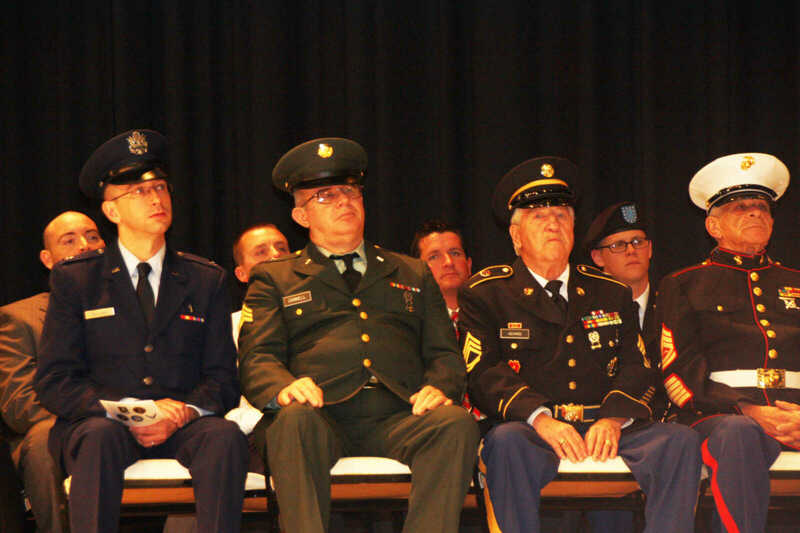 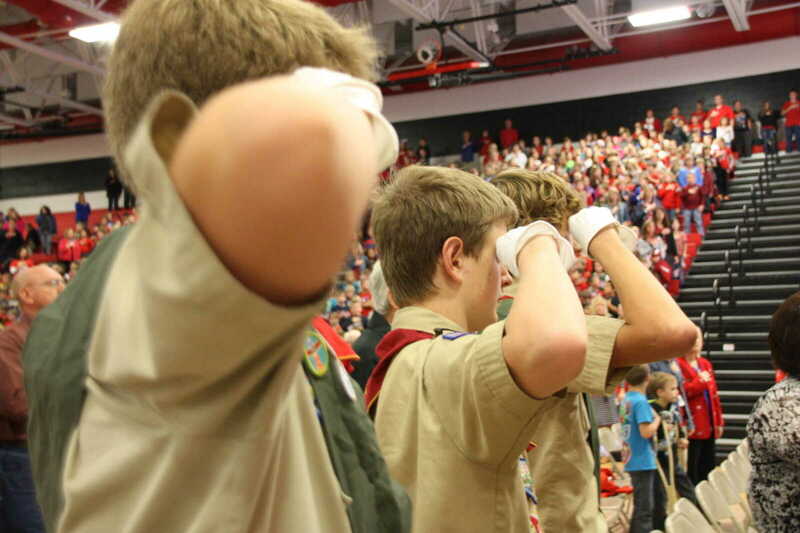 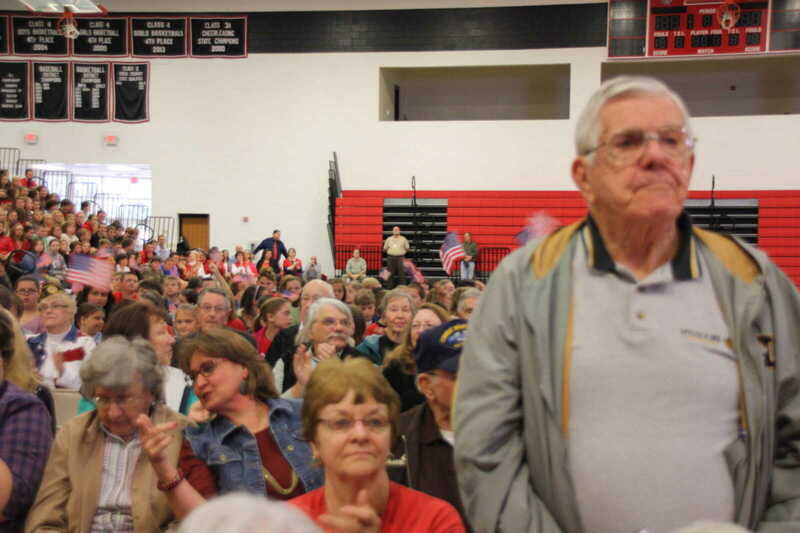 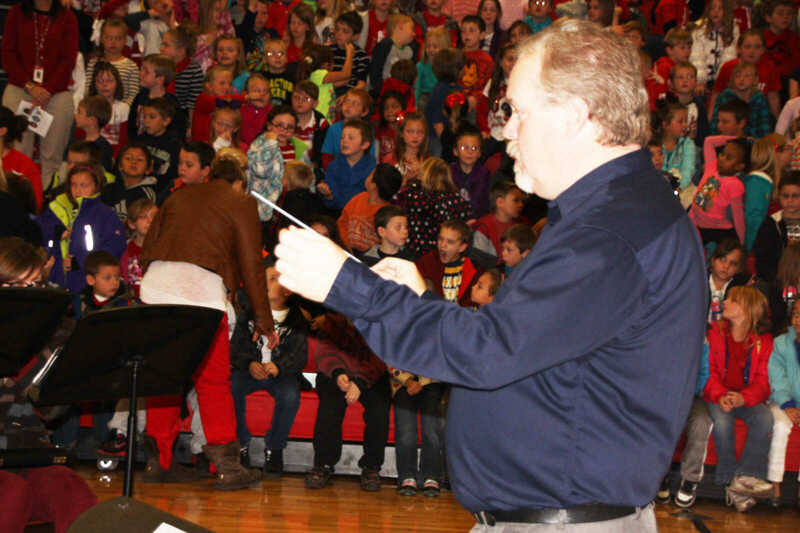 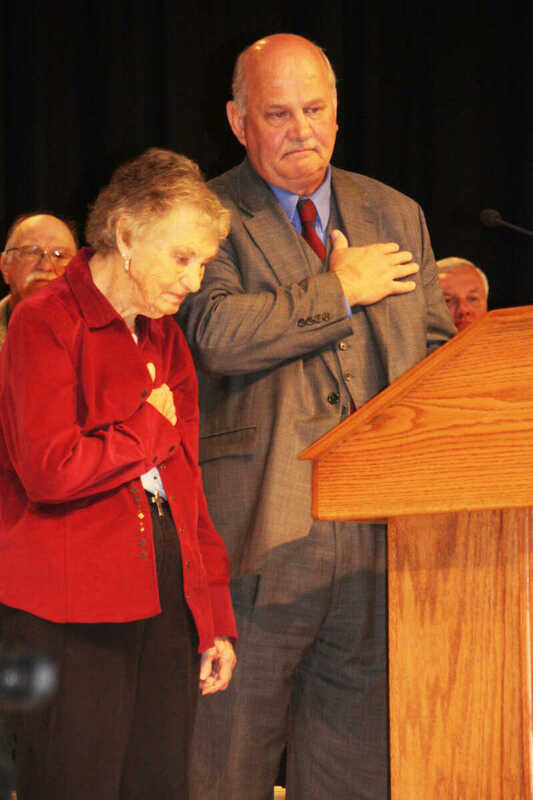 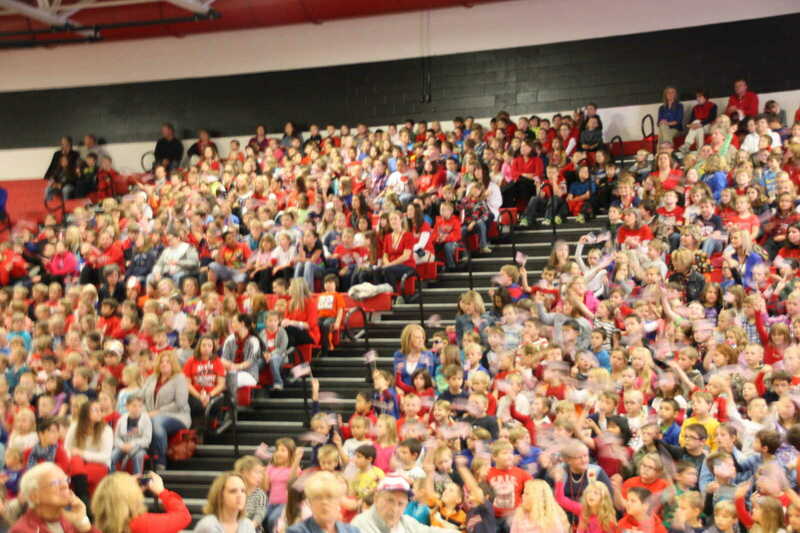 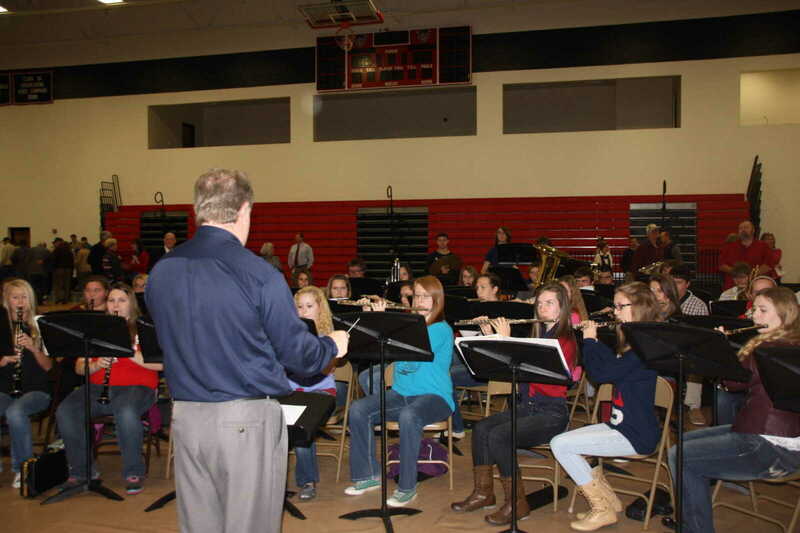 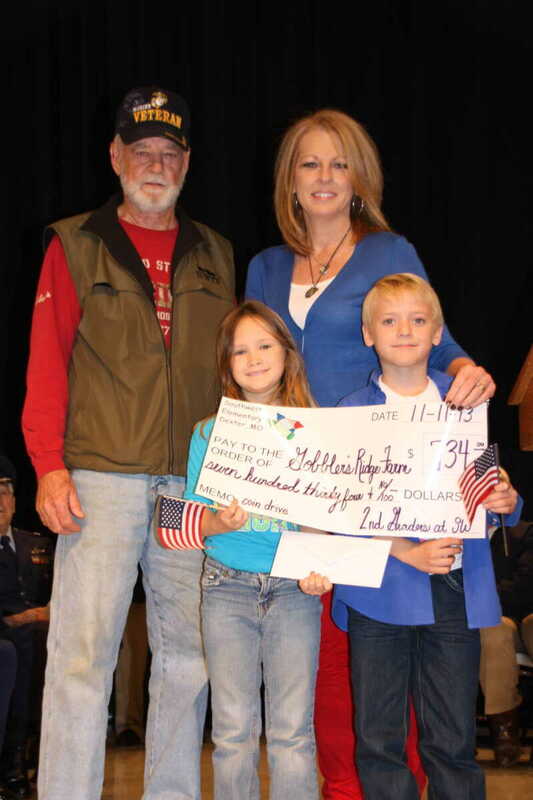 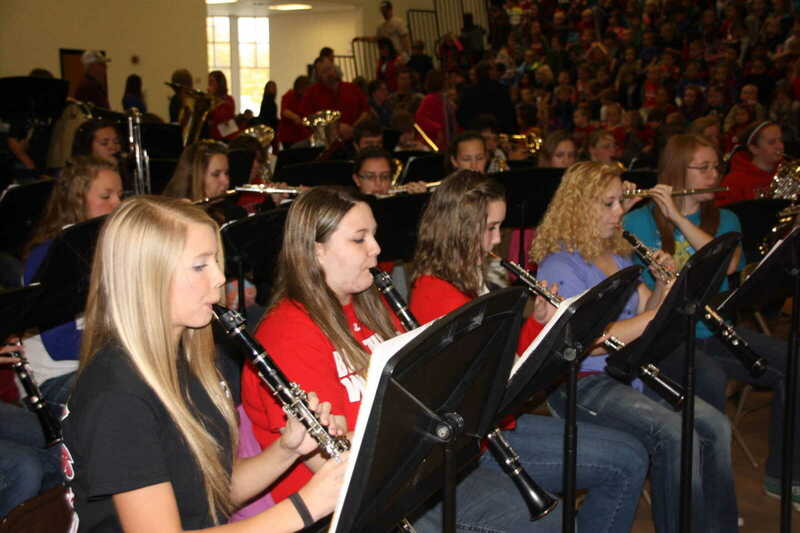 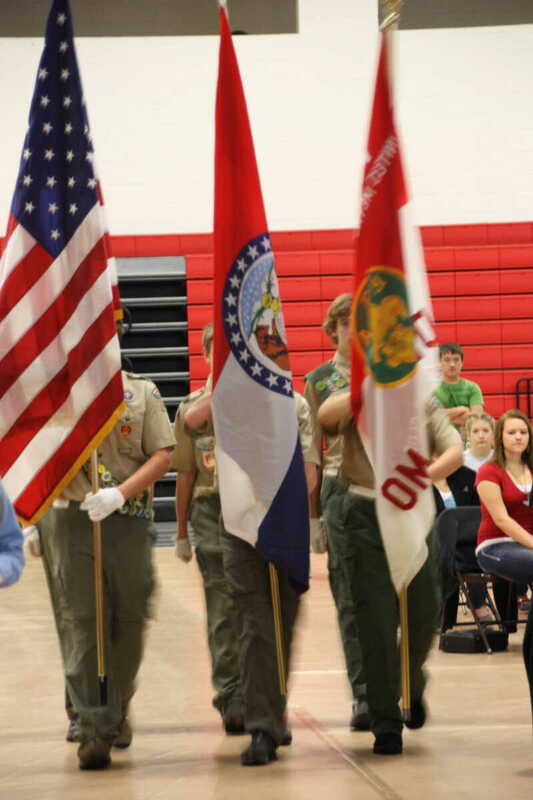 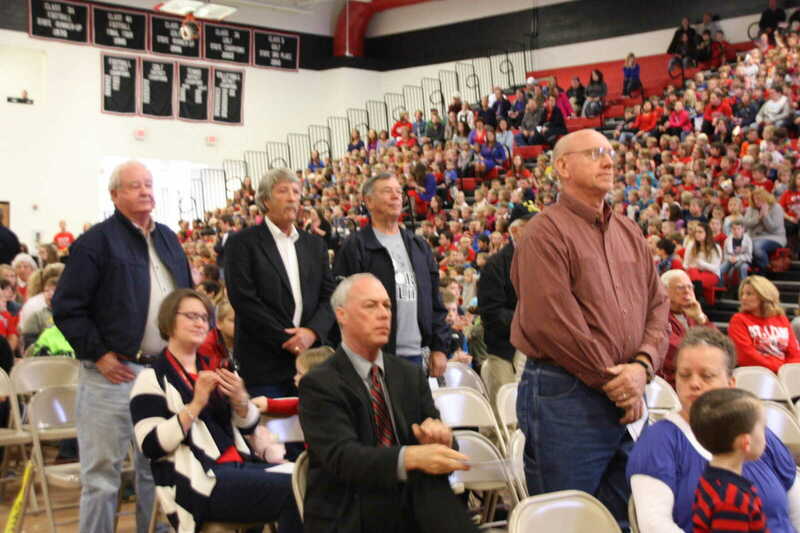 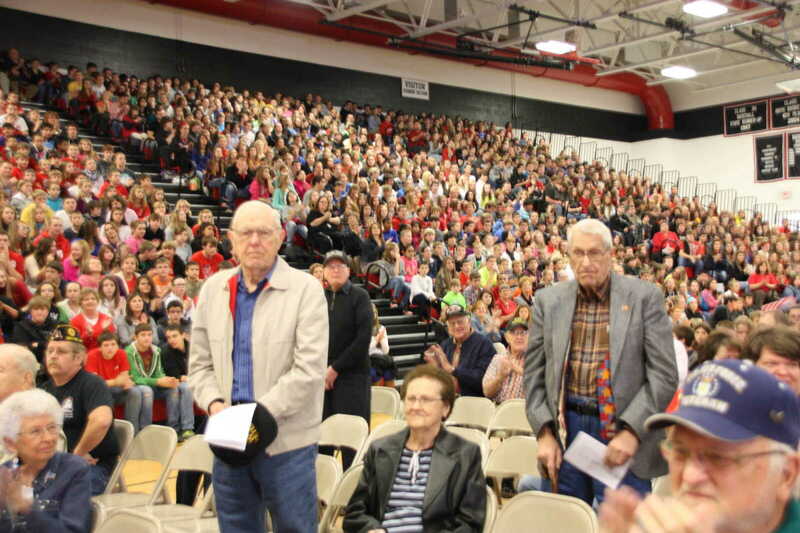 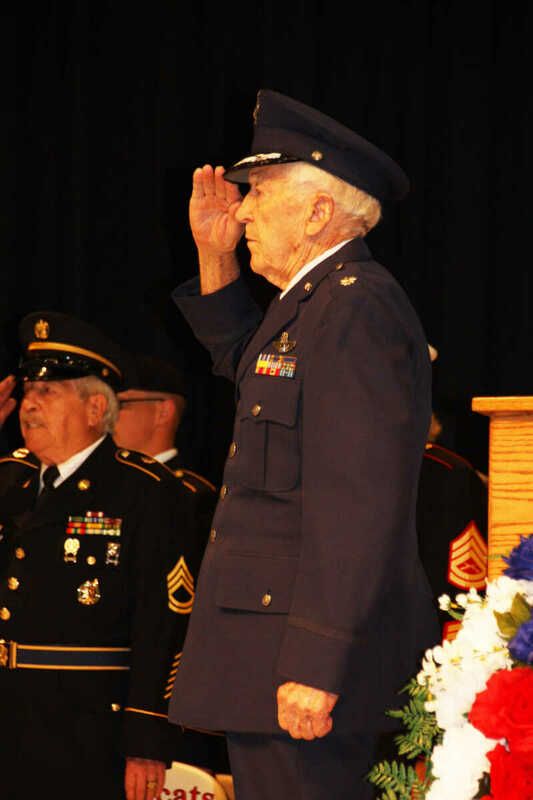 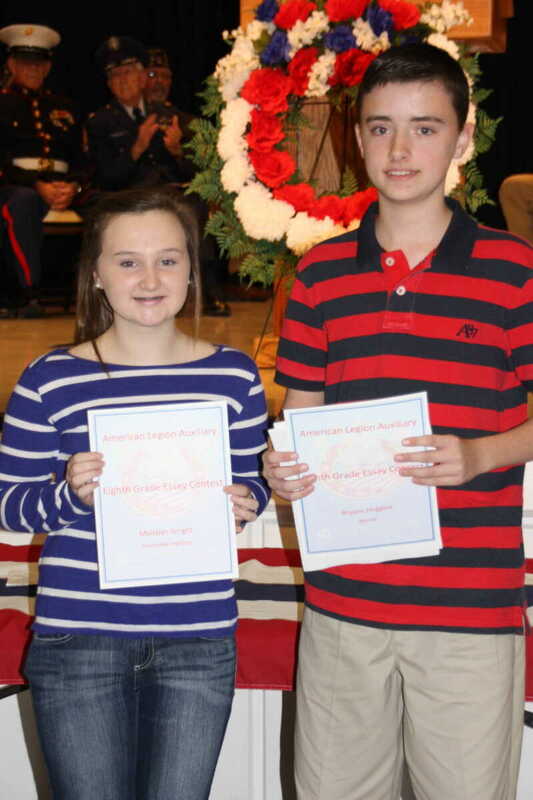 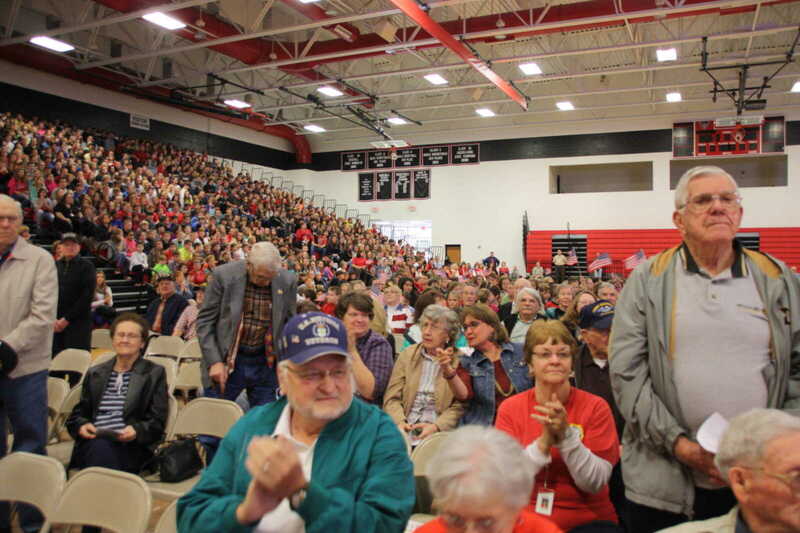 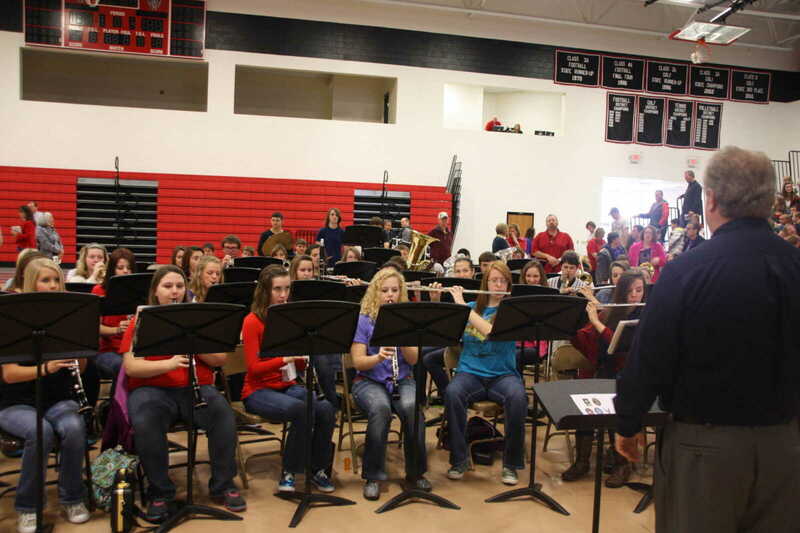 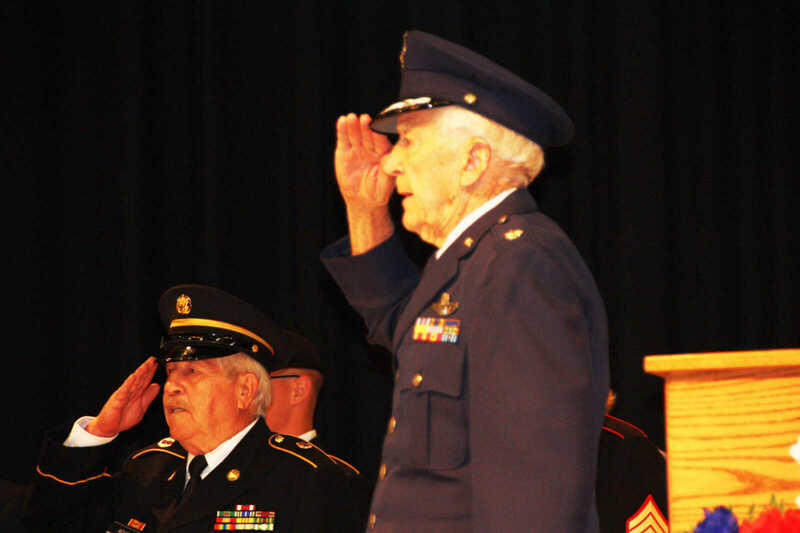 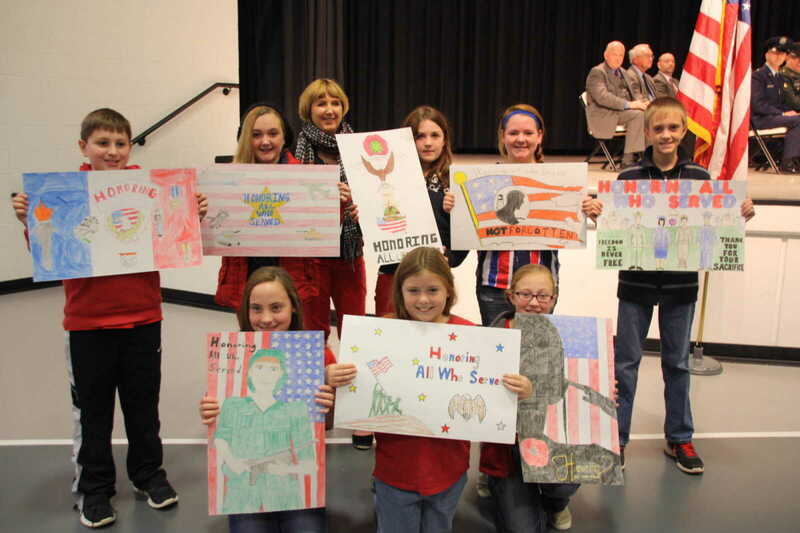 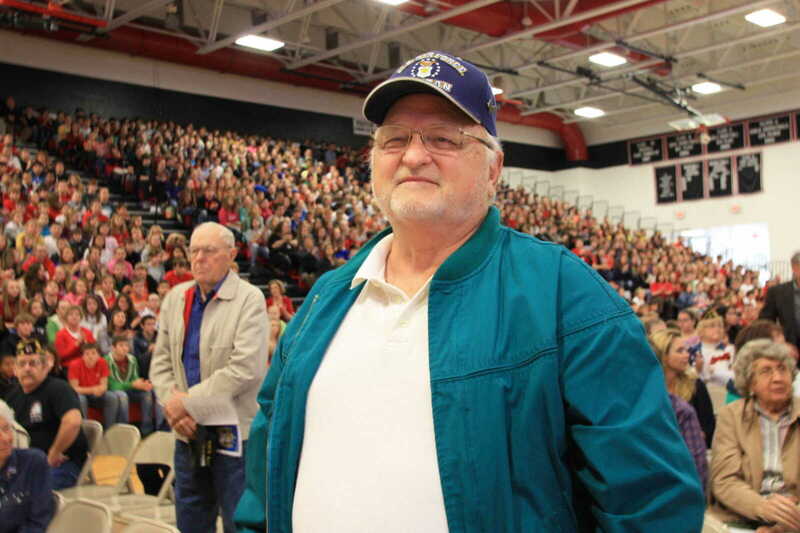 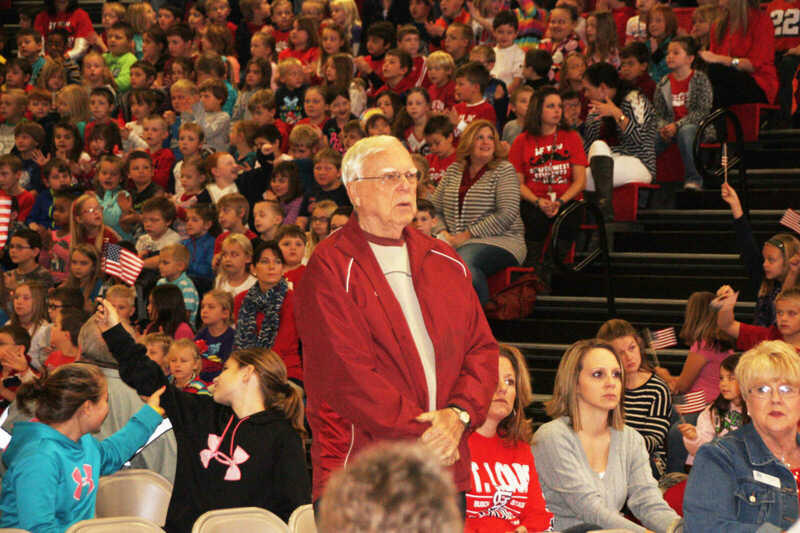 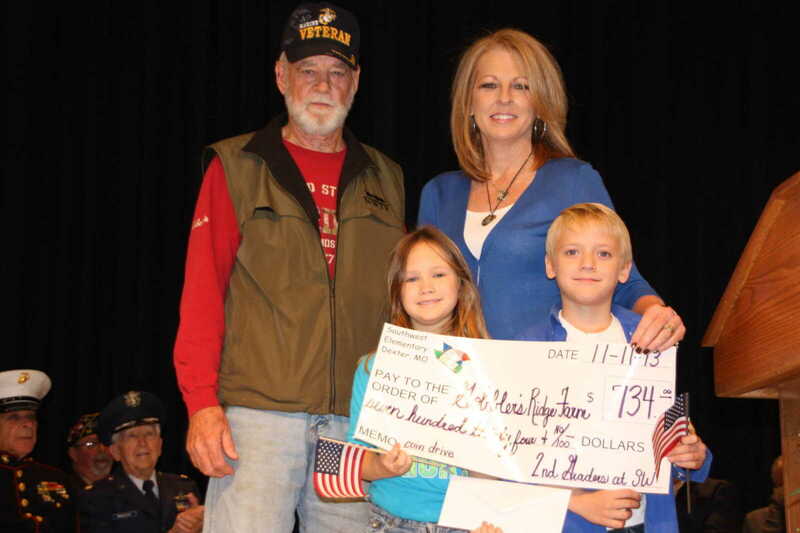 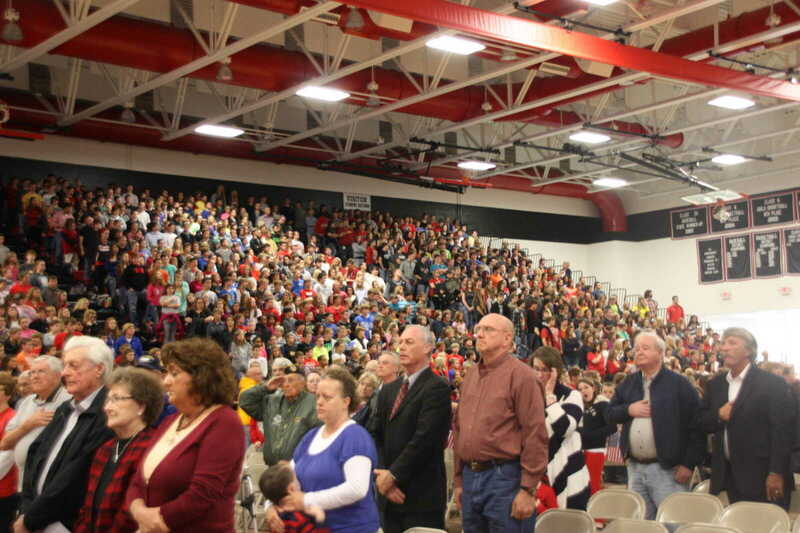 Sponsored by the Daughters of the American Revolution, Dexter Schools and Post 59 American Legion Auxiliary members, the City of Dexter once again observed Veterans Day with all local students and staff and the public gathering at the Bearcat Event Center. 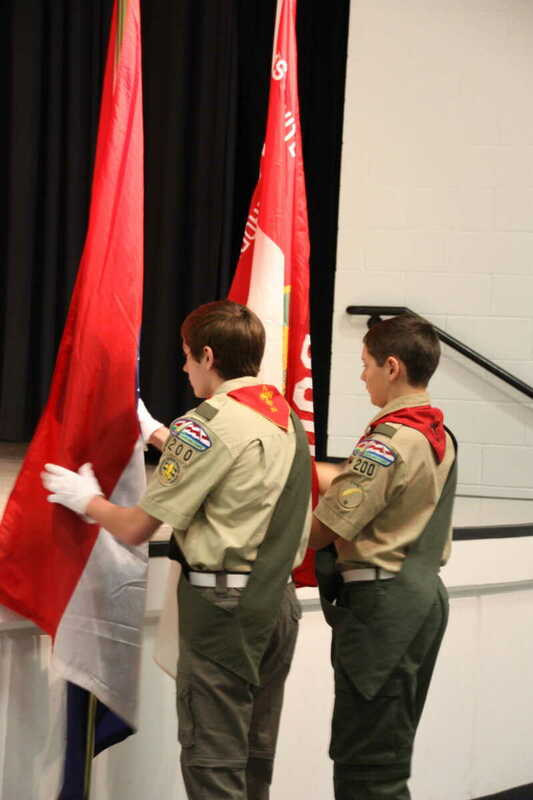 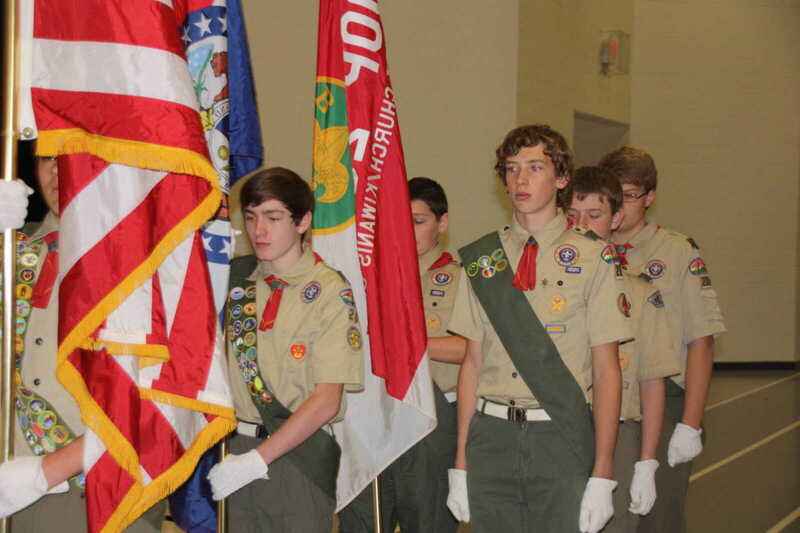 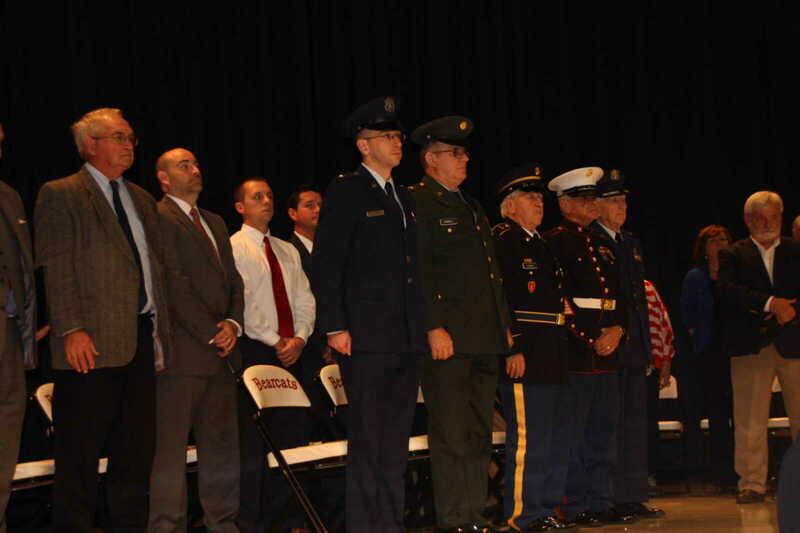 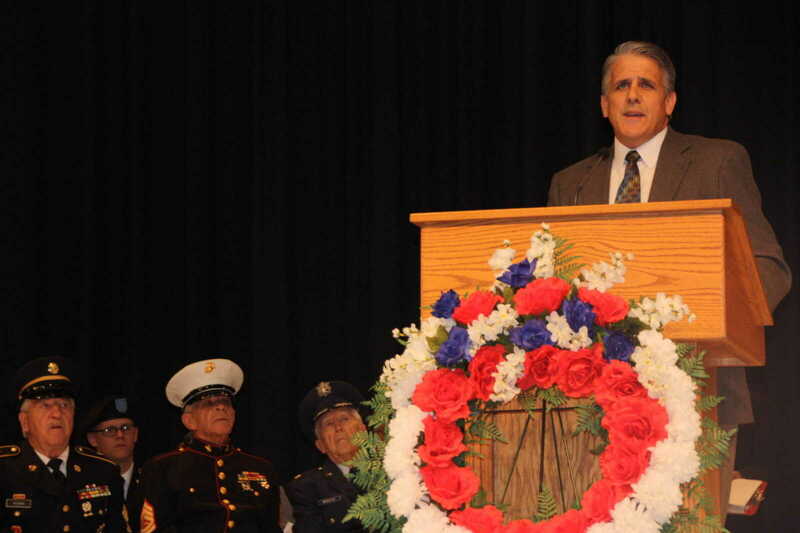 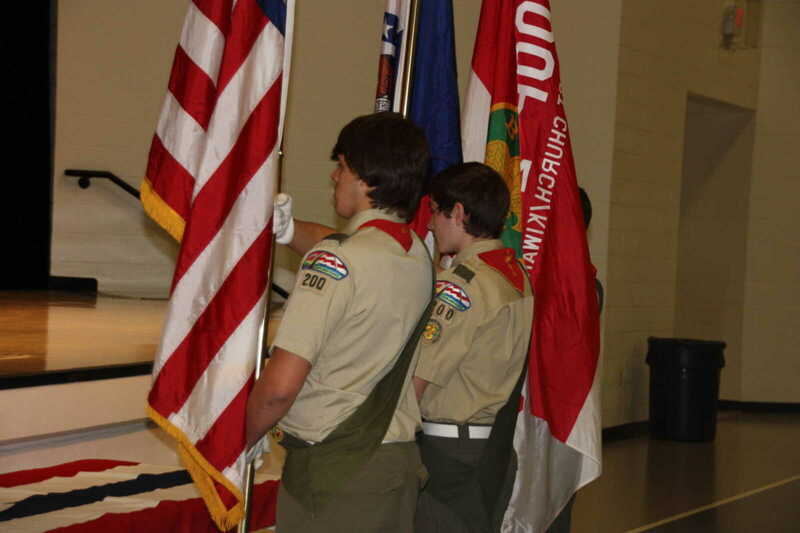 Boy Scout Troop 200 presented the colors; the Dexter High School Band provided patriotic music; awards were presented to several students for various Veterans Day-related activities; and Lt. Col. Bob Thrower (Ret.) 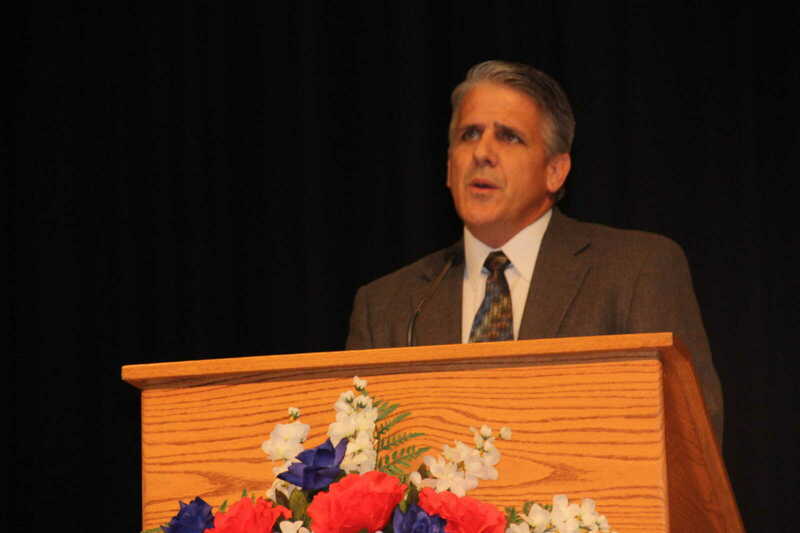 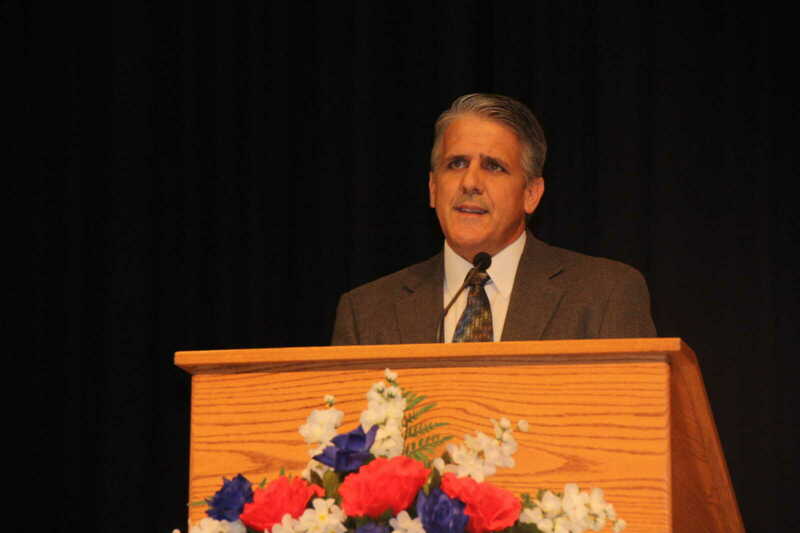 served as the keynote speaker.